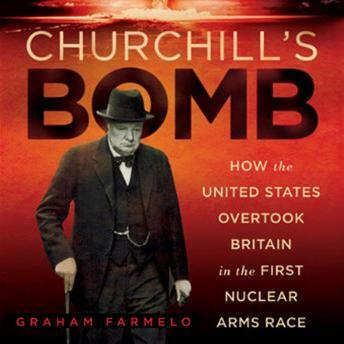 As award-winning author Graham Farmelo describes in Churchill’s Bomb, the British set out to investigate the possibility of building nuclear weapons before their American colleagues. But when scientists in Britain first discovered a way to build an atomic bomb, Prime Minister Winston Churchill was slow to realize the bomb’s strategic implications. This was odd—he prided himself on recognizing the military potential of new science and, in the 1920s and 1930s, had repeatedly pointed out that nuclear weapons would likely be developed soon. In developing the bomb, however, he marginalized some of his country’s most brilliant scientists, choosing to rely mainly on the counsel of his friend Frederick Lindemann, an Oxford physicist with often wayward judgment. Churchill also failed to capitalize on Franklin Roosevelt’s generous offer to work jointly on the bomb and ultimately ceded Britain’s initiative to the Americans, whose successful development and deployment of the bomb placed the United States in a position of supreme power at the dawn of the nuclear age. After the war, President Truman and his administration refused to acknowledge a secret cooperation agreement forged by Churchill and Roosevelt and froze Britain out of nuclear development, leaving Britain to make its own way. Churchill came to be terrified by the possibility of thermonuclear war and emerged as a pioneer of détente in the early stages of the Cold War. Contrasting Churchill’s often inattentive leadership with Franklin Roosevelt’s decisiveness, Churchill’s Bomb reveals the secret history of the weapon that transformed modern geopolitics.